Can you believe it’s already June!? I’m sorry but how did that happen? I happen to love June. It marks the onset of summer, birthday celebrations in our family and plenty of parties. 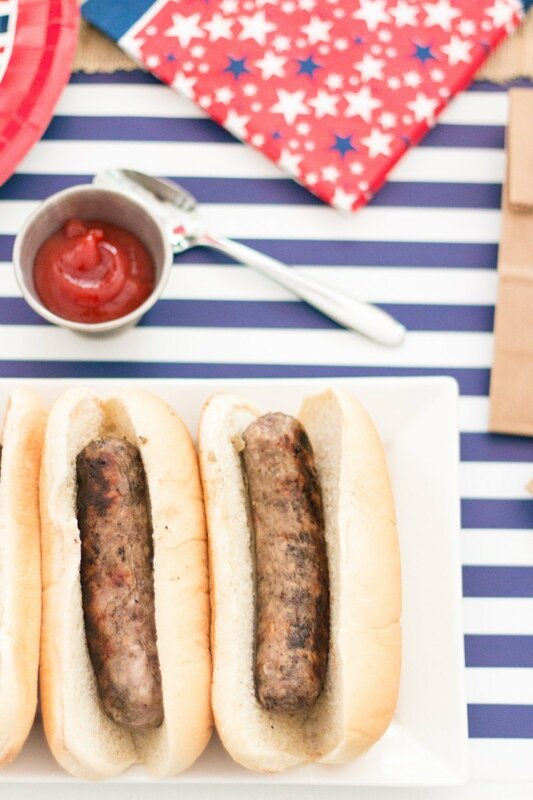 Not to mention it’s just one month out from the Fourth of July which is one of my very favorite celebrations. This month the #MichaelsMakers were invited to share a summer party which is speaking my language. 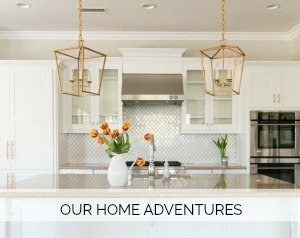 Whether you set up a party in your kitchen, backyard or out at park I rounded up some simple ideas all on one table. 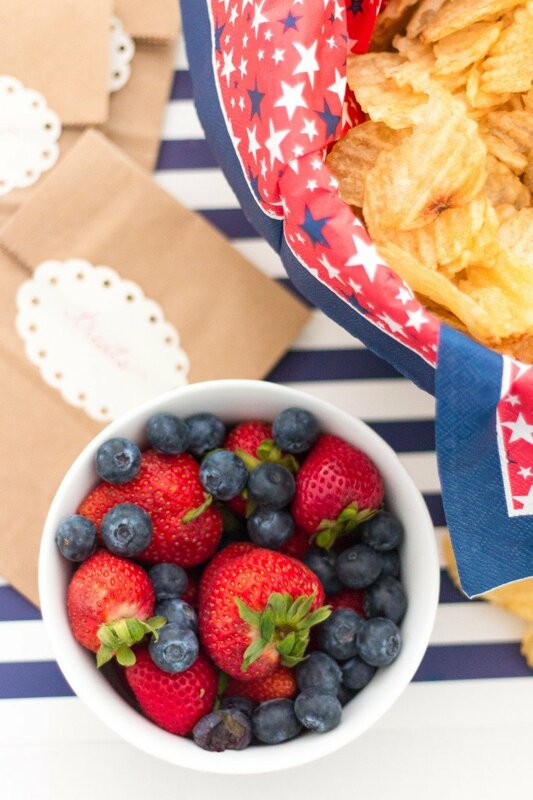 Here is my take on a simple and chick Fourth of July Party. I love these galvanized letters that Michaels sells. Right now they are 60% off. 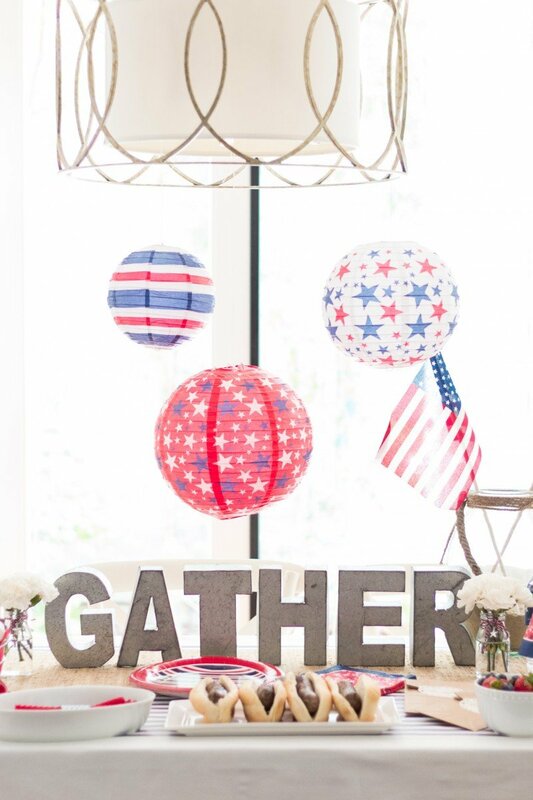 I chose to spell Gather because I have always called our parties, “Gatherings” because it’s more about taking time to hang out and gather with people you love. Spelling something like “BBQ” or “PARTY TIME” would be so cute, too. If you cruise the basket aisle, you’ll find these cute inexpensive buckets. 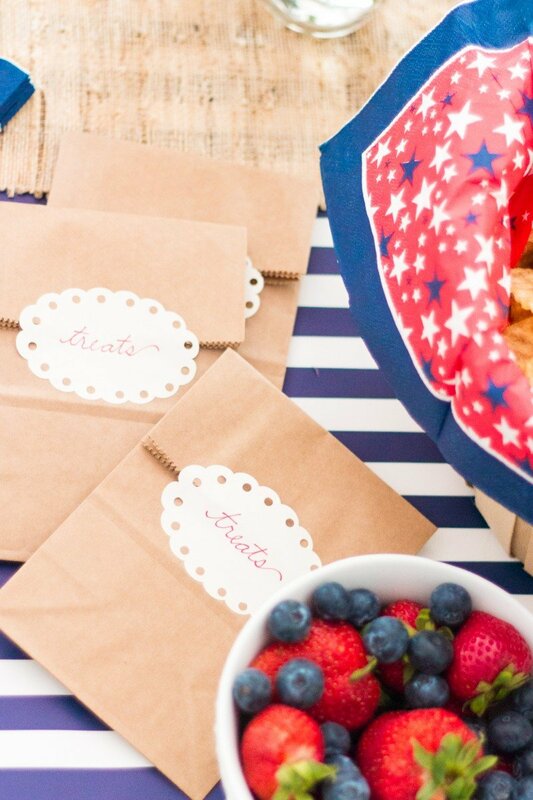 Rather than painting the bucket to match your holiday theme, use printed napkins to line the container. 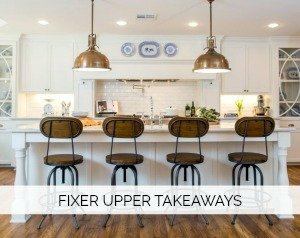 It makes for an easier clean up as well as the ability to constantly switch things up for future celebrations. Consider having little bags nearby so that the kids, or adults, can fill treat bags and take them with them. Especially nice if you are going to see fireworks. Always nice to have a little snack bag for everyone. And the dessert bar is just as important as the main course! 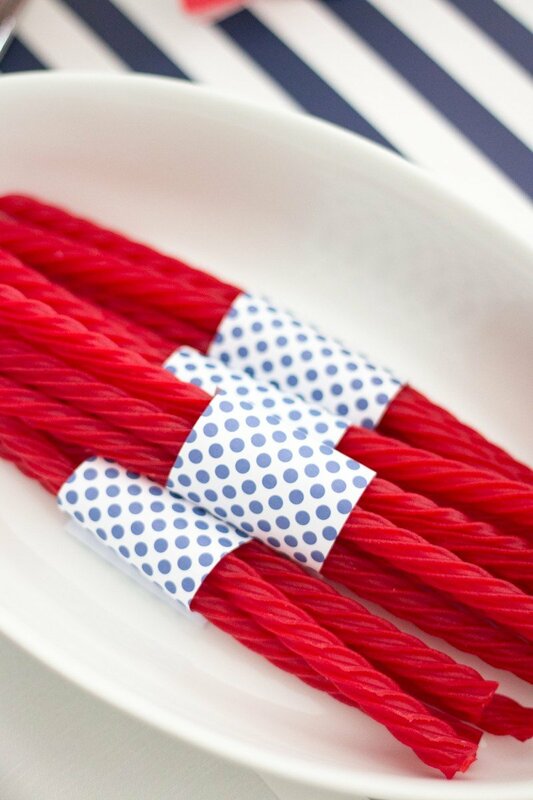 Bundles of licorice (strips of scrapbook paper wrapped around), cupcakes and s’more supplies make it so easy. 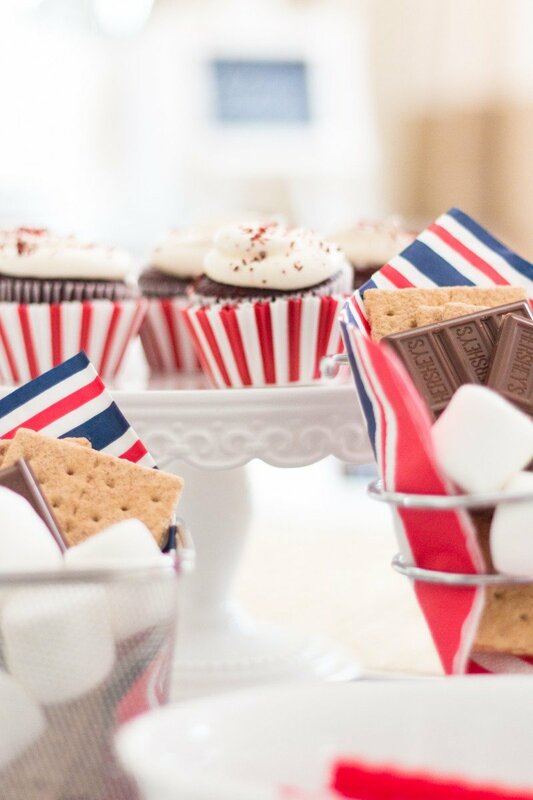 I used store bought cupcakes and set them inside striped wrappers from Michaels. HINT: Use two or three liners to be sure the pattern is nice and bold. I picked up these french fry containers years ago for another one of our celebrations but you could even use a mug that you have on hand. 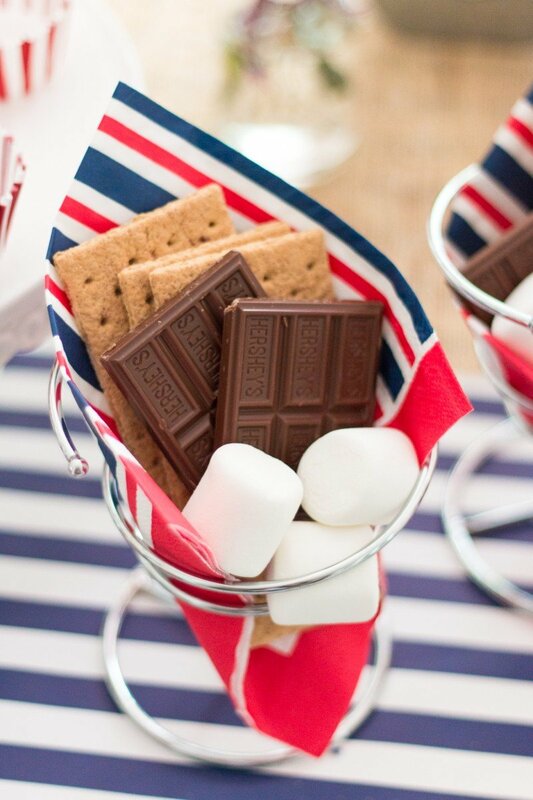 Just drop in a cute napkin and fill with graham crackers, marshmallows and chocolate. 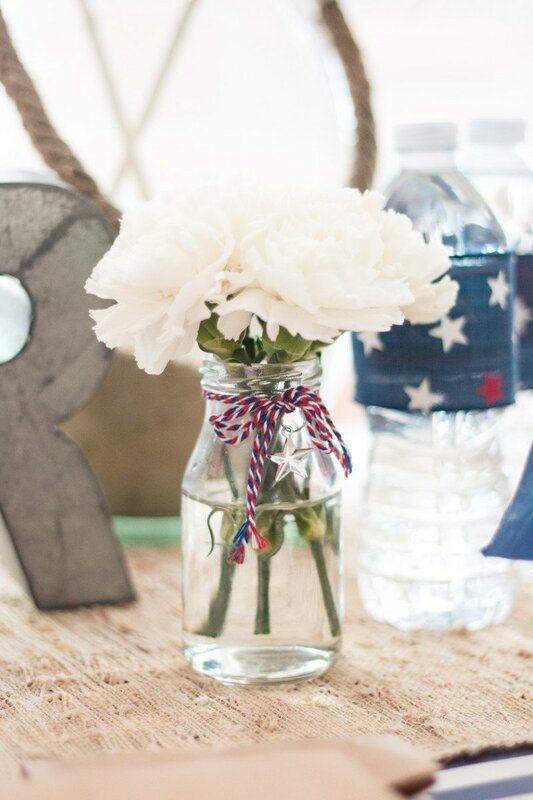 If you plan to throw a bash for Fourth of July I highly recommend picking up some of these cute finds early. They tend to fly off the shelves. And the cute ribbon aisle is key for things like wrapping water bottles. Only takes a minute to do and looks great on the table. 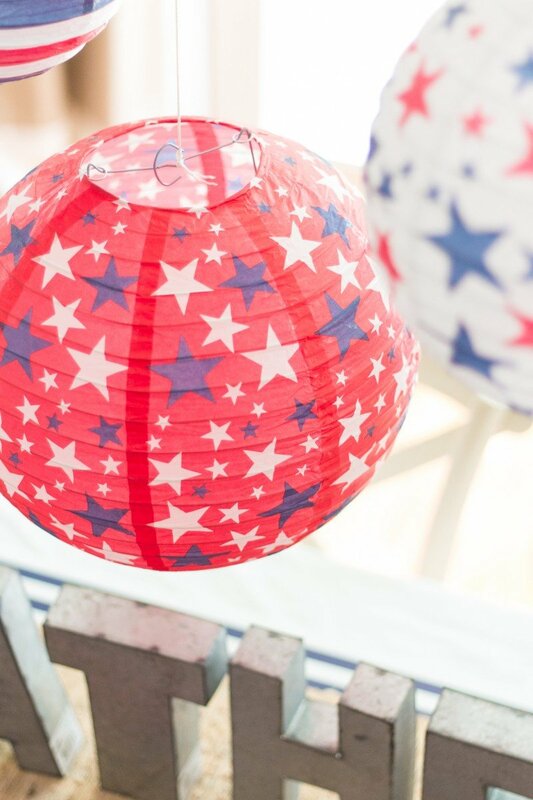 These sweet hanging lanterns come in a set of three and add a fun touch. 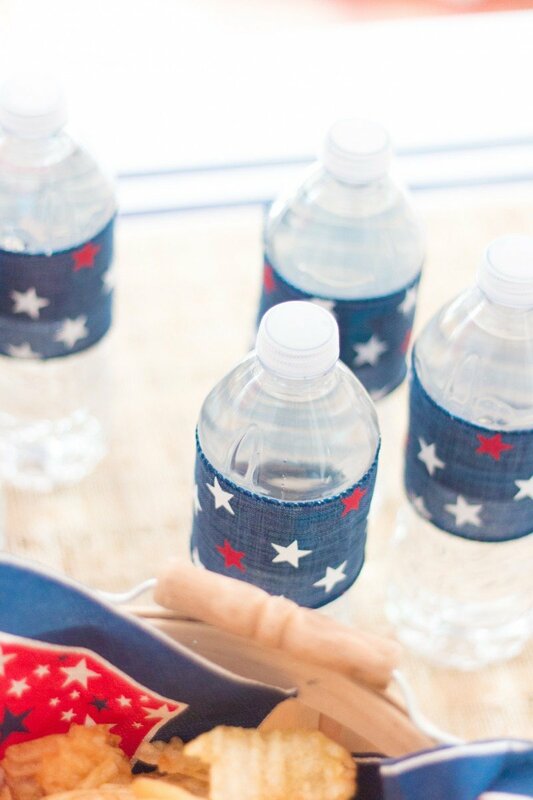 You could also add a cute cocktail napkin banner (see how to make one here). 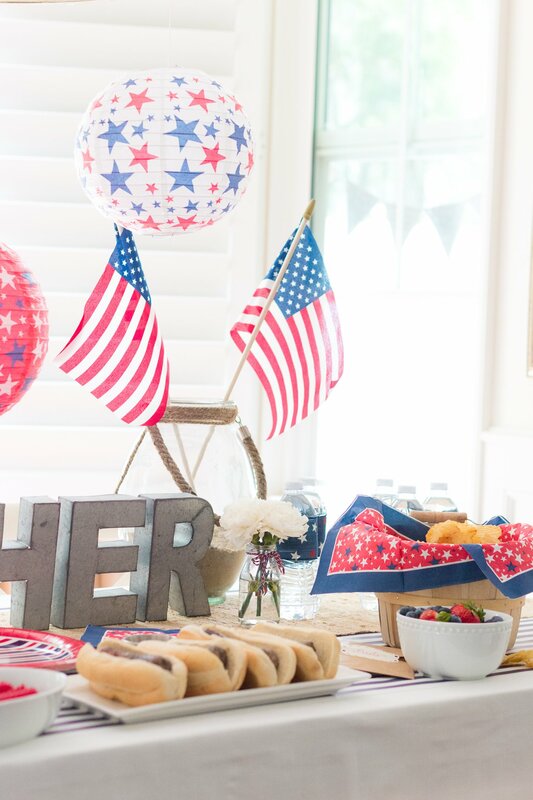 Whether it’s a backyard party or a picnic in the park, it’s always fun to consider decking out one table to really create a fun theme for the day. 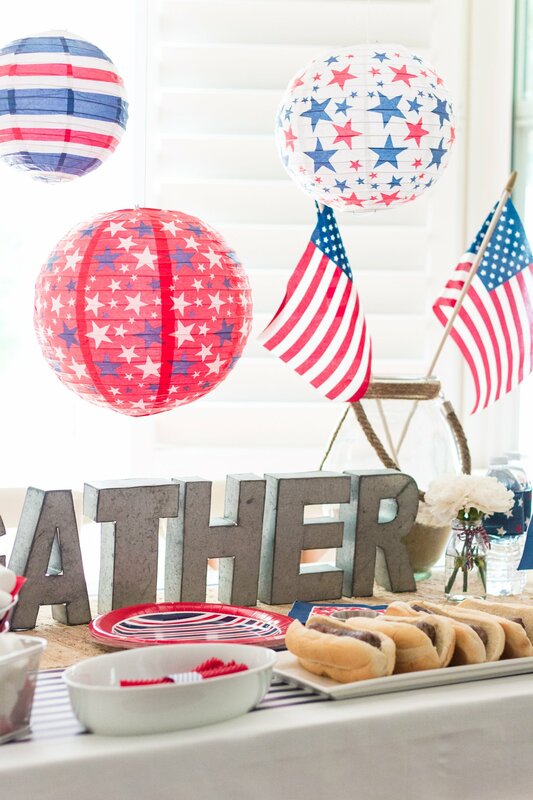 From paper crafts, party goods and baking supplies to new outdoor lighting, glass and floral, Michaels makes summer celebrations super simple. 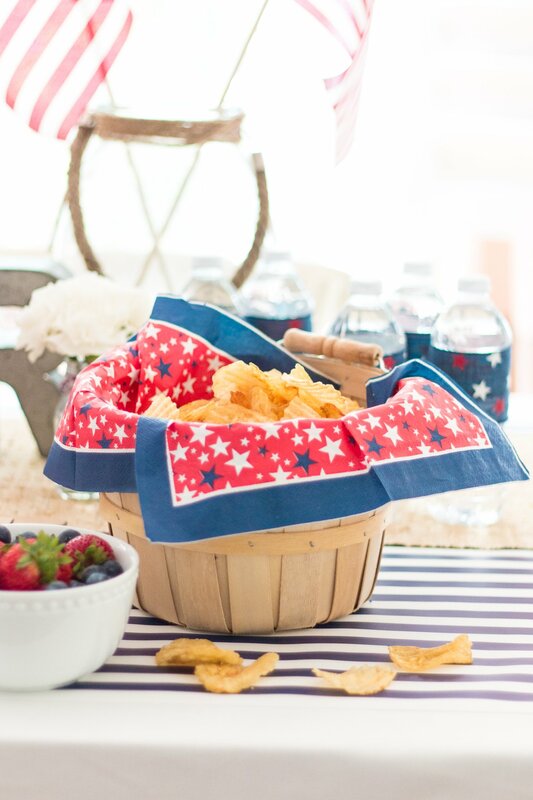 Be sure to check out all of the other Michaels Makers DIY summer party ideas on the Michaels blog when you have a moment. Love this Courtney! So fun and festive ! My goodness….where is this year going? My hubby’s birthday is right around the 4th of July. I am going to try to pick up some of these items at Michaels. Would be fun to do the s’mores! Thank you for the party inspiration! 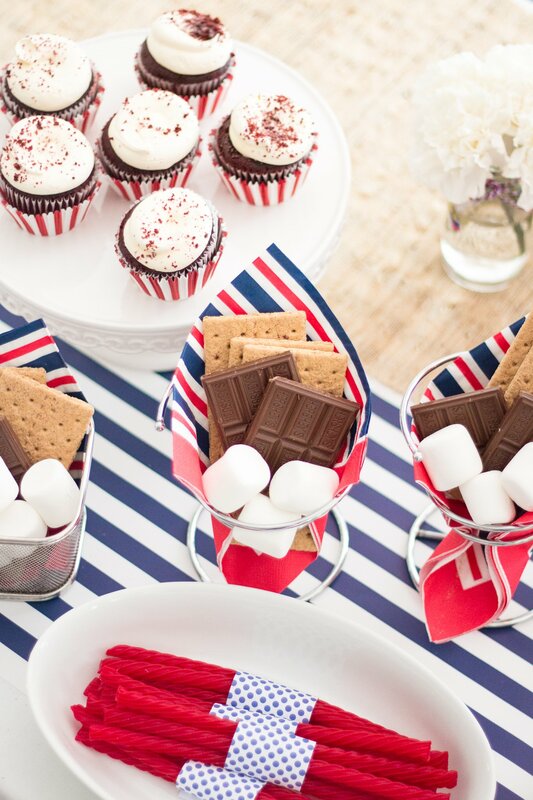 You always have such cute party ideas!